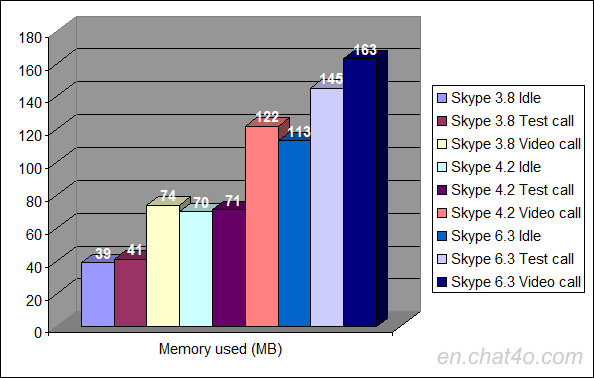 In this article three Skype versions will be put to the test. The purpose is to see which one uses the least of the computer resources. Let’s find out once and for all if older versions produce less computer load, because they have less features, or the new versions perform better because with time they have been well optimized. The computer I used to perform the tests has a quad-core AMD Phenom II X4 945 processor, 4GB DDR3 RAM and an average hard drive on 7200 RPM. The operating system is Windows 7. 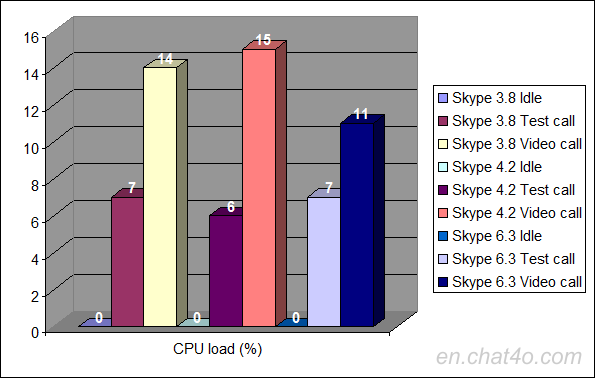 CPU (processor) load – with Process Explorer. Memory used – with Process Explorer. 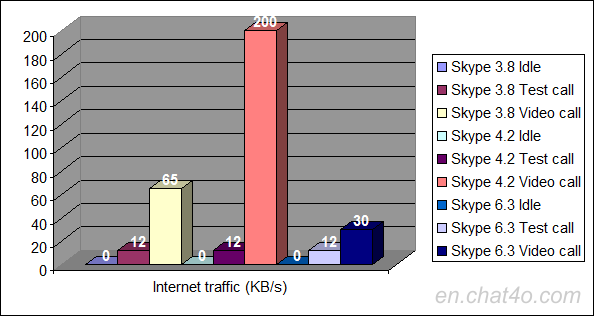 Internet traffic – with iTraffic Monitor. 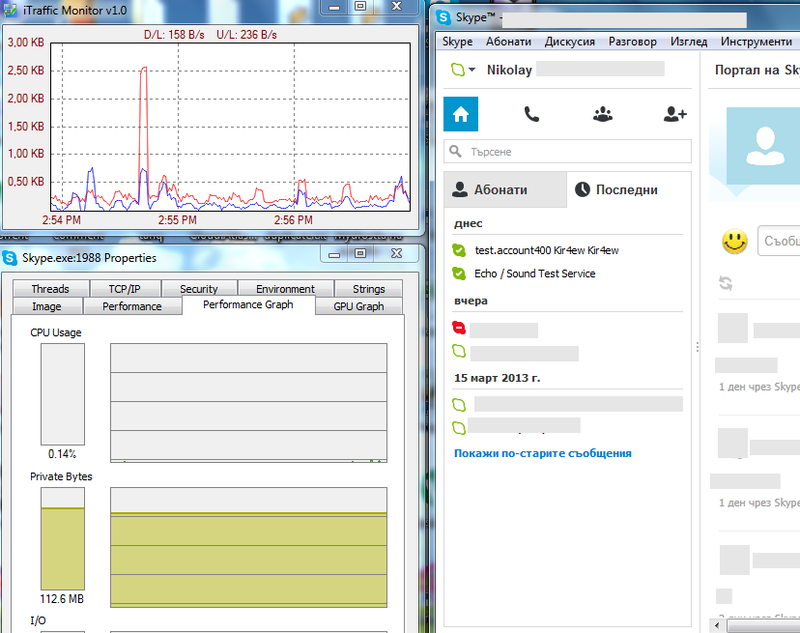 Even though I expected Skype 3.8 to be the winner in all tests, as you can see, this is not the case. Turns out that the most recent version (6.3), not only makes the lowest CPU load, but also uses the least internet traffic. 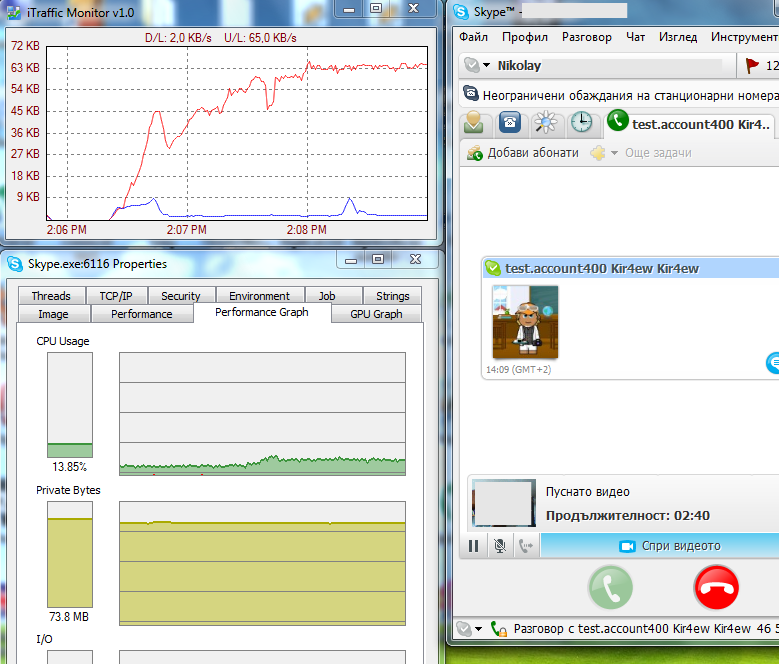 Regarding the memory usage however, the winner here is the oldest version in the test – 3.8. 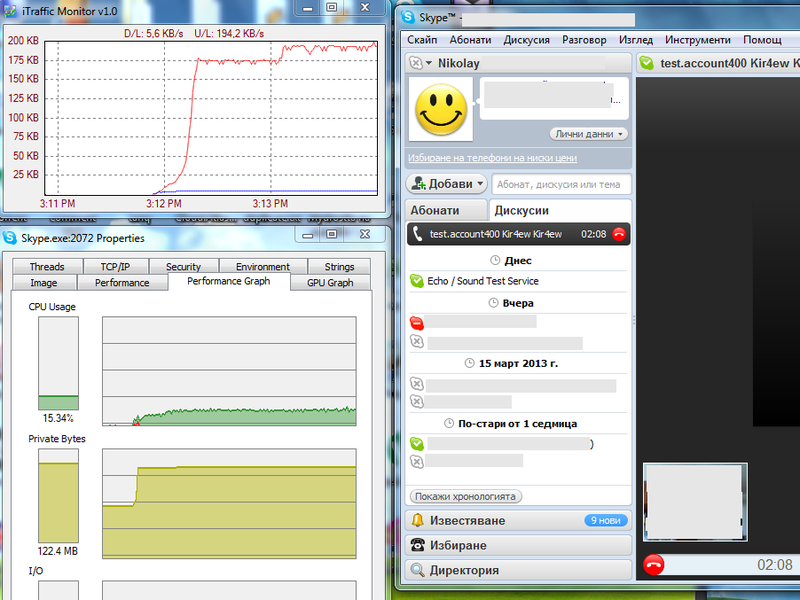 Below you can see more information about the way I made the tests and also the screenshots with the results. 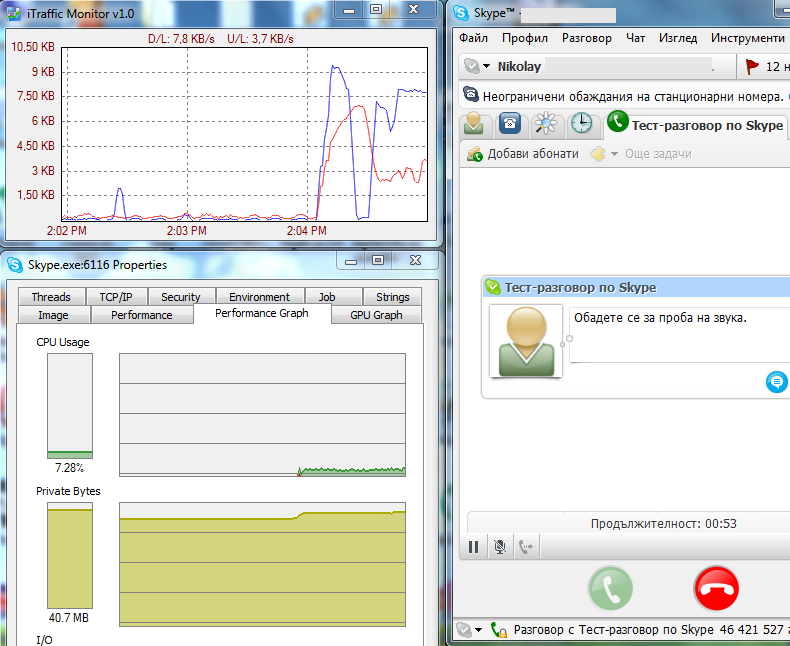 First I started Process Explorer and iTraffic Monitor and then Skype. 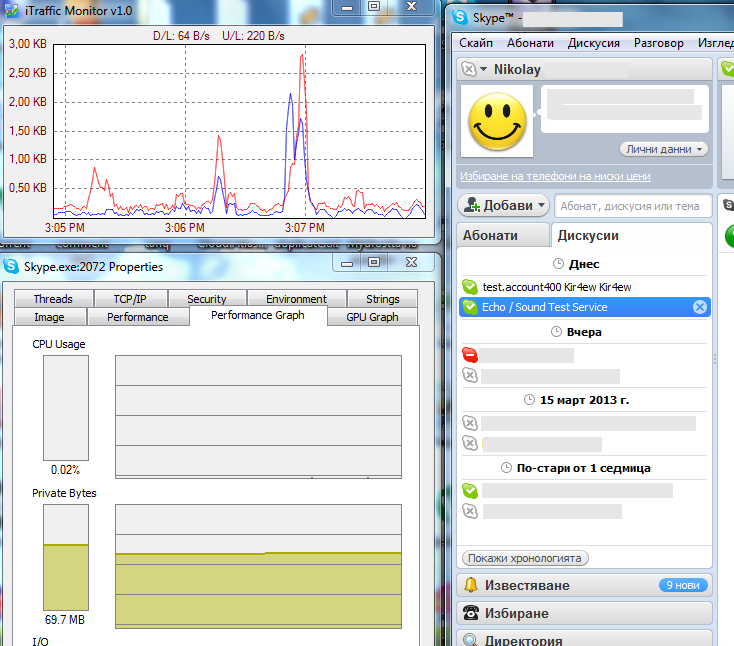 After a few minutes, when the values stabilized, I collected the data for the idle state. 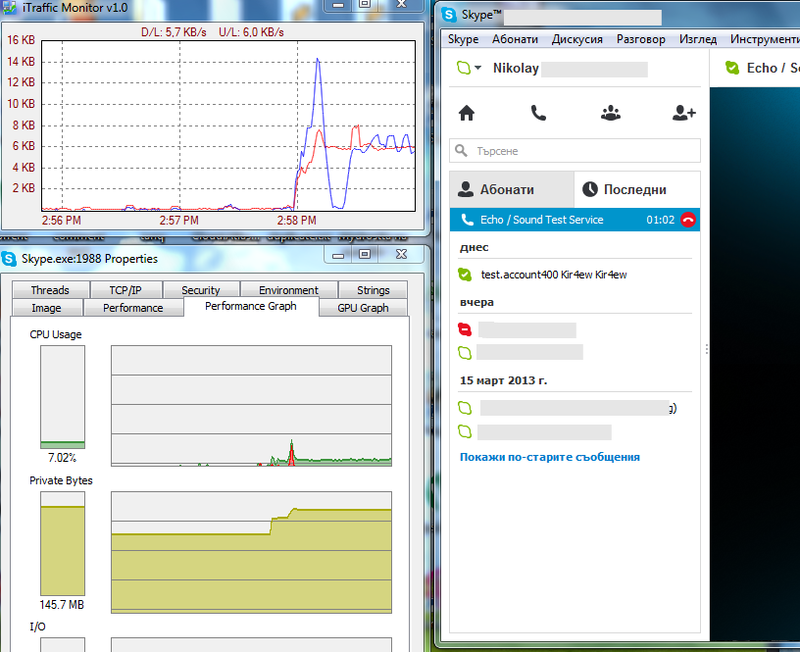 In about a minute I made a test call and somewhere in the end I collected the data. 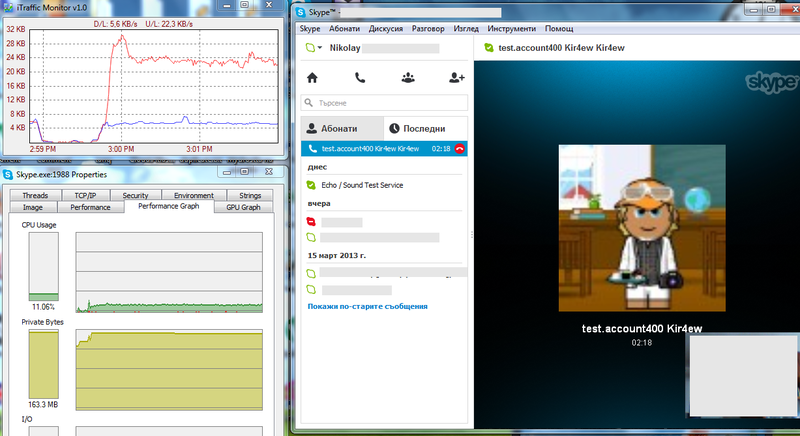 In about a minute I made a video call, in which only my side had a webcam, and when the values stabilized (in about 2-3 minutes) I collected the data. 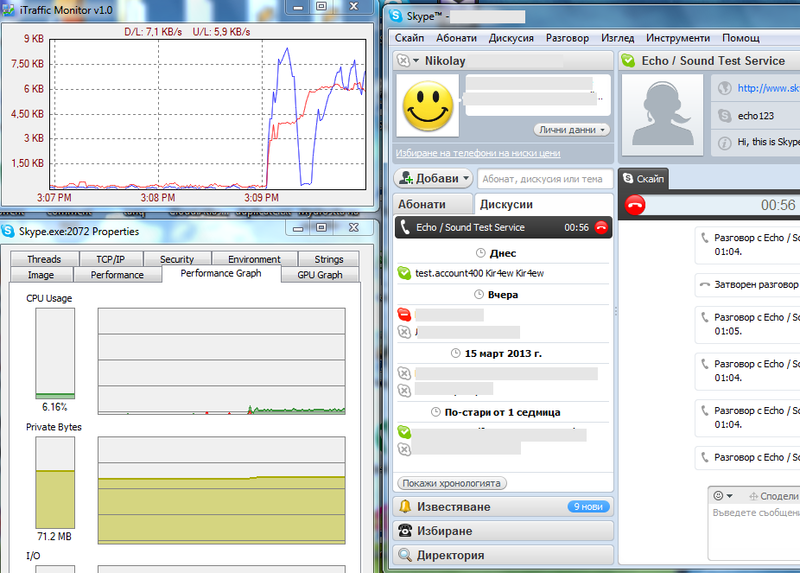 When I was done with the first version, I closed Skype, uninstalled it, and I installed the next version. I started it, I logged in with the same account, and I made the same tests. At the end I installed the third version and did the same. 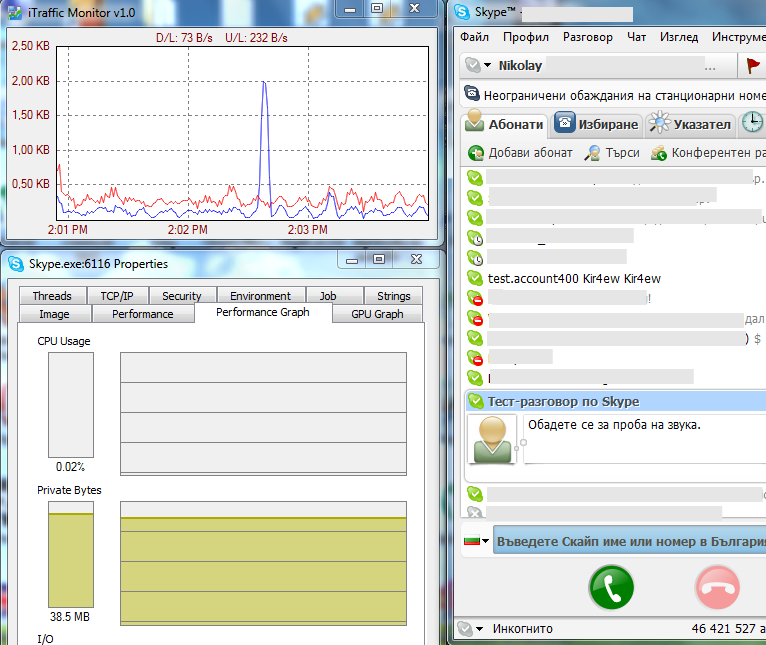 While testing the 3.8 version I had to install the same version on both sides of the call. Otherwise the video call did not work. For the other two versions on the second computer I had installed Skype 6.3. The values, that you see on the charts above, are approximately true. They are not exact values. You can see the exact results below. Also keep in mind that the value for the internet traffic on the charts above are a sum of the download and upload traffic.